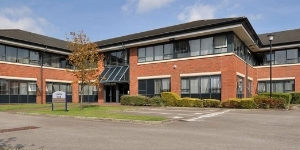 Irlam Business Centre is located adjacent to North Bank Industrial Estate, a 101,2 hectare industrial park. Since 1987, North Bank has emerged as a prime location for new and expanding companies with a significant amount of development during this period. 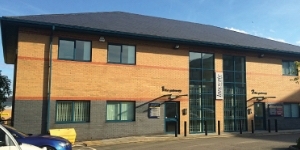 Irlam Business Centre is situated in an excellent location on Sapstone Way, with direct access to the A57 via Fairhills Road. Irlam is a town within Greater Manchester, located 8 miles West of Manchester City Centre and 11 miles East of Warrington. The town lies adjacent to the A57, a key arterial route linking the M60 and M6 motorways. 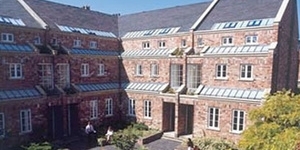 It is located approximately 3 miles from Junction 11 of the M60 and 5 miles from Junction 21 of the M6. 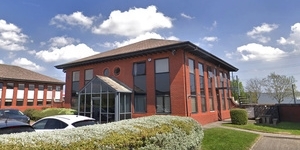 Irlam Business Centre is a modern, purpose built, multi-let industrial estate which is arranged across 4 terraces. There are 12 units ranging in size from 1,918 sq ft up to 6,401 sq ft. The estate was constructed in 2008 and provides high quality units of traditional steel portal frame construction beneath a pitched metal roof. 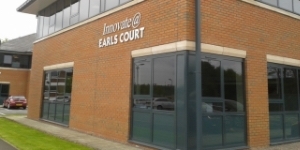 The units are situated on a secure, gated site providing excellent circulation and loading provision, together with ample car parking. The estate is currently fully occupied. But for more details or to register your interest please contact us.